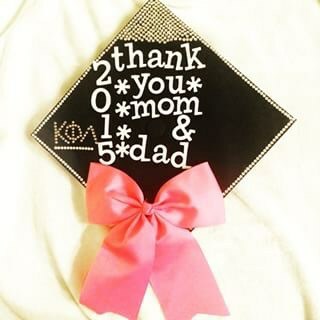 Parents & Family – Kappa Phi Lambda Sorority, Inc.
Sending a child to college can be a challenging and stressful time in a parent’s life. While in college, your daughter will encounter many opportunities to become involved outside of their classroom experience. It is important to be educated about the experiences she may discover by being knowledgeable about her options in Greek life. What is being involved in a sorority all about? Knowing what you have seen on television and read in the local newspaper, the reality is that those are extreme cases of sorority life. What the media will not tell you as a parent is that there are many lifelong benefits to sorority membership. A sorority offers a small community of friends away from home. Additionally, national research has shown that involvement in fraternities and sororities increases students’ chances of graduating from college. As a lifelong member of a sorority, students are offered the opportunity to develop as leaders, serve the community, and focus on academics and their future careers by connecting with local alumni members of Greek organizations. My daughter is considering joining a sorority, what advice should I give her? Since joining a sorority is a lifelong commitment, and there is an expense associated with membership, it should be a joint decision between student and parent. Consider sitting down with your daughter and researching all of the options. Utilizing local chapter and national websites are a great, convenient way to gather information. Feel free to contact students who are currently involved and ask about their experiences. In most cases, both students and parents will speak candidly about their Greek involvement. What is expected of sorority members? Does the sorority require members to live in a designated housing facility? If so, for how long? What is the quarterly/annual expense associated with membership? How does this vary as a new member? What values does this organization promote? Is the organization officially recognized by the University? If not, why is this the case? What are the safety risks associated with membership in a sorority? It can be perceived that a sorority membership may compromise a student’s safety and well-being. This certainly is not the case with Kappa Phi Lambda. In order to be recognized by any given university, all Greek organizations are required to follow strict alcohol, anti-hazing and risk management policies. The policies are in accordance with law, and are enforced by both university administrators and members of sororities themselves. In addition, all organizations should have at least one university faculty or staff advisor to assist and ensure that the organization is promoting a safe environment for its members on campus.